Dig your toes into the sand and spend some time in the sun when you visit the clean and friendly Florida RV resorts by RVontheGO. These well-kept and carefully managed RV parks in Florida are known for their down home hospitality and meticulous attention to detail. Located in some of Florida’s most attractive destinations, these RV resorts and RV parks will put you in a Florida state of mind. Sit back, relax and let us make your trip one to remember. Whether a beachfront property or a theme park adventure is more your style, the RV parks in Florida have you covered. 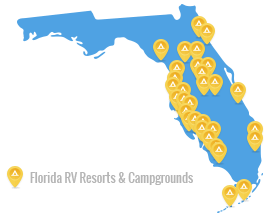 With Florida RV resorts on the Gulf of Mexico, the Atlantic Ocean and inland, you can get exactly what you want from your vacation to the Sunshine State. 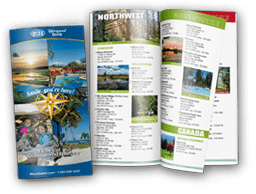 You can plan your trip right now to these southeast regions: Arcadia, Leesburg, Daytona Beach, Florida Keys - Key West, Vero Beach, Melbourne - Titusville, Fort Lauderdale, Fort Myers, Orlando - Kissimmee, Sarasota - Bradenton, Tampa, Miami, Clearwater - Largo, Brooksville and Crystal River - Homosassa.